US sales and use tax rules vary from state to state. Currently 45 states and the District of Columbia impose some sort of sales or use tax with differing exemptions and procedures, with each state and at times cities having unique tax laws, factors such as origin, status of seller, intial delivery locations, storage and final destination of the artwork all play into the planning and compliance process. Owners, dealers and collectors are advised to consider potential sales tax consequences as it relates to their purchases. A Deloitte sales tax specialist will present on how sales/uses apply and offer insightful perspective around potential issues and tax-saving opportunities so you can become aware of sales tax concerns and help avoid unwanted additional expense or surprise. Mary Pat has over twenty years of experience specializing in multistate sales and use taxes. She received a bachelor’s degree in accountancy from the University of Illinois at Chicago. She is a CPA and a member of the Illinois CPA Society, the AICPA and the Institute of Professionals in Taxation (IPT). She is a frequent instructor and speaker on sales tax matters. Mary Pat is a director in the Chicago office of Deloitte Tax LLP. 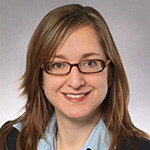 Prior to joining Deloitte, Mary Pat was at Arthur Andersen for a number of years and prior to that she was a revenue auditor with the Chicago District office of the New York Department of Taxation and Finance. Mary Pat specializes in state and local sales and use tax compliance, and planning for multistate entities. She has significant experience in multistate sales tax compliance, planning, audit defense, due diligence, and remediation and process improvements. Her clients include a number of professional service firms, private equity, retailers, distributors, and manufacturers.